It’s easy to feel excluded by the beauty industry when you’re over 40. Often we are not of interest to brands, unless it’s to sell us something expensive to deal with our hideous wrinkly faces. So it’s refreshing to find a product that isn’t apologetic about being aimed at over 40s, is absent of the dreaded phrase “anti ageing” and if anything, seems to positively delight in being who we are now. 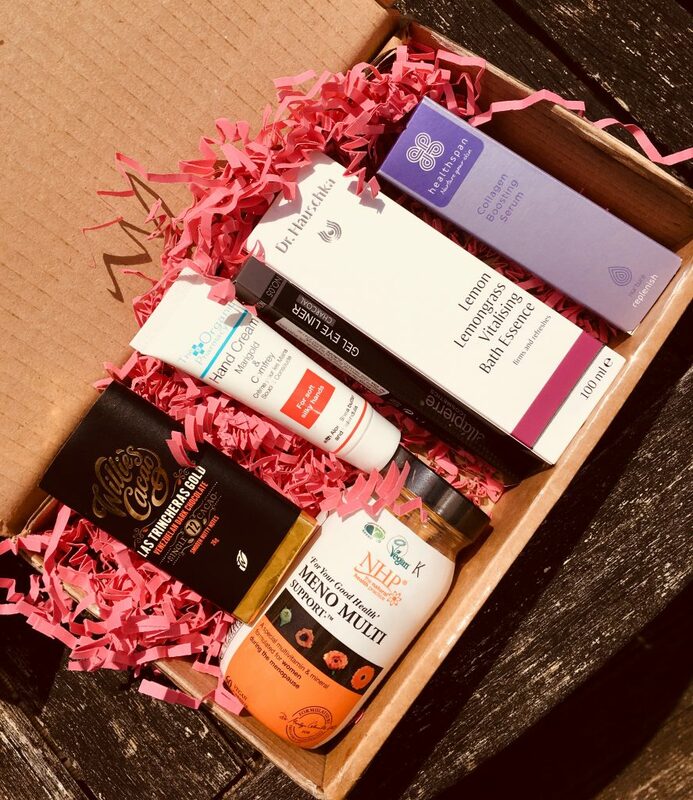 Say hello to the Time of Your Life box, a beauty and lifestyle box for grown ups. So all in all there’s over £100 of value in there, and a pretty thoughtful selection of quality products too. 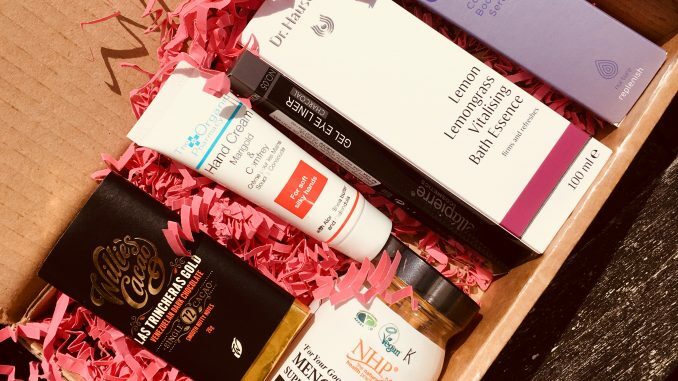 I did a lot of research into these products as I was writing this, and the thing that struck me was that they all have excellent word of mouth online reviews. These are well-respected products with a great reputation – there’s no filler. This would make a lovely gift for a friend who’s over 40, or indeed a treat for yourself. Personally I’m most excited about the deliciously lemony bath essence – Dr Hauschka is such a good brand – and the serum which is formulated with natural plant oestrogens. The multivitamin looks great, and I’ll start taking that as soon as my current one has run out. Charcoal is a top choice for the eyeliner – it’s gentler than black eyeliner whilst still giving good smoky eye. As yet this is the first Time of Your Life box, so I hope the company can keep the standard up. They’re based in Arundel, just up the road from me in Sussex, so I will be keeping an eye on them to see what future fun and surprises they can come up with. The Time of Your Life Box is available here. Boxes can be purchased as a one off for £34.99, or a monthly subscription starts from £24.99 per month. More details on that here. At the time of writing the box shown here is still available to buy, but contents of future boxes will obviously vary. Delivery is free and is currently to UK only.